​Liverpool manager Jurgen Klopp was unperturbed with comparisons to Manchester City's style of play, after his side came from behind to ​beat Southampton 3-1 at St. Mary's. 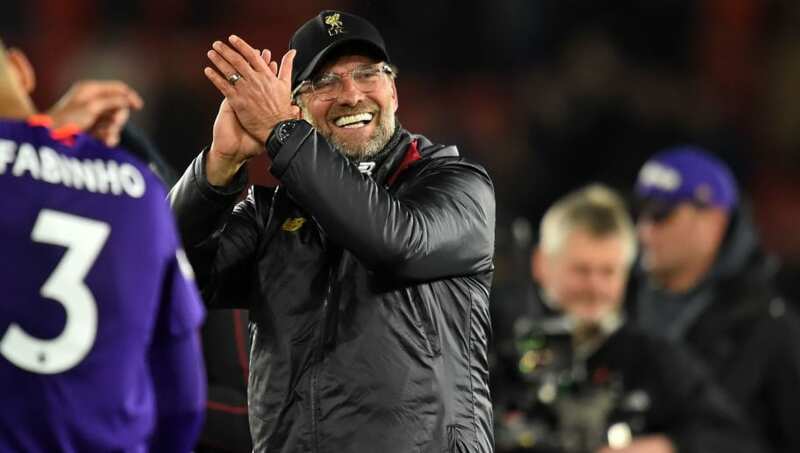 The win was hard-fought for ​Liverpool, just as their previous wins against Fulham and Tottenham were, yet while City made light work of the Cottagers and Cardiff in their previous two games, Klopp is happy for his side to play their own way. Speaking post-match to ​Sky Sports, he said: "The performance was not top level, but it is about fighting. People want us to play like Manchester City. We are unable to do that. Why should we do it? We play our own football. It's a nice way, and a really good way. Victory on the south coast means Liverpool have regained their two point lead at the top of the ​Premier League over City - albeit playing a game more than Pep Guardiola's side - who are in FA Cup semi-final action against Brighton. Liverpool's second goal proved to be a landmark one for Salah, as it was his ​50th league goal for the club, with Klopp labelling the effort 'world class'.